NEW YORK, United States — A new report from analytics firm Second Measure, suggests Peloton is starting to eclipse indoor cycling trailblazers SoulCycle when it comes to customer acquisition. The data, which analysed anonymised debit and credit card purchases, indicates that last quarter Peloton had 4% more US customers than its main riding rival, while SoulCycle’s users dipped by 10%. Read More: What Impact Will The Trend Towards Peloton Style Home Workouts Have On The Fitness Market? Adding: “SoulCycle is highly profitable. Studio revenue has increased year over year, paid rides are up, total rides are up and our active ridership has not decreased. We’re also seeing an increase in the number of classes our active riders take each month.” Meanwhile, Peloton said that its user base has doubled in the past year. Having launched in 2012 with its innovative connected exercise bike, Peloton is now reported to be valued at $4.15 billion, after closing a $550 million financing round in August. The brand’s meteoric rise has led to a host of fitness tech startups emerging, aiming to compete in the $14 billion at-home fitness equipment market. Crew is attempting to have the same impact as Peloton but with indoor rowing, while in the UK, connected fitness company Fiit, which offers at-home bodyweight workouts that track calories burned and reps counted, has ambitions to ‘to revolutionise the fitness world’. Elsewhere, German company Freeletics which recently closed a $45 million round reports 120% record growth in core markets, including the US. However, with the news Peloton has opened a new production studio in New York City, dedicated to creating yoga and meditation classes for customers to follow in person or from the comfort of their own homes, it seems SoulCycle isn’t the only fitness industry leader in Peloton’s crosshairs. According to the company, Peloton members can now sign up for sessions in the studio, with live-streamed and on-demand classes available from December 26th. 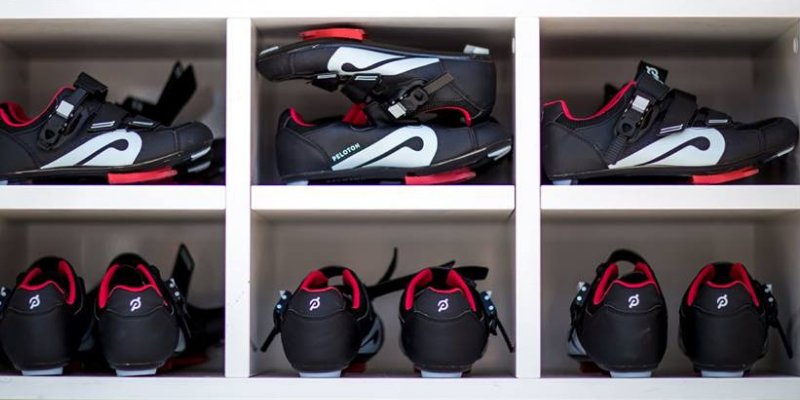 “As we did with the addition of Bootcamp, Running, Walking and Outdoor earlier this year, we are continuing to expand our suite of superior fitness offerings in order to provide our members with an ever more diversified array of options to stay fit, happy, and healthy,” commented Fred Klein, Chief Content Officer at Peloton. According to Peloton CEO John Foley, the company is on track to generate more than $700 million in revenue in the fiscal year ending next February, marking more than 100% year-to-year revenue growth rate. In a bid to bolster those figures further, Foley has also hinted his team is working on a third product to join its $1,995 stationary bike and $3,995 connected treadmill. In addition, the brand also plans to continue targeting a more mainstream market, through its digital service, priced at a more accessible $19.49 per month, and the introduction of a new monthly financing program.